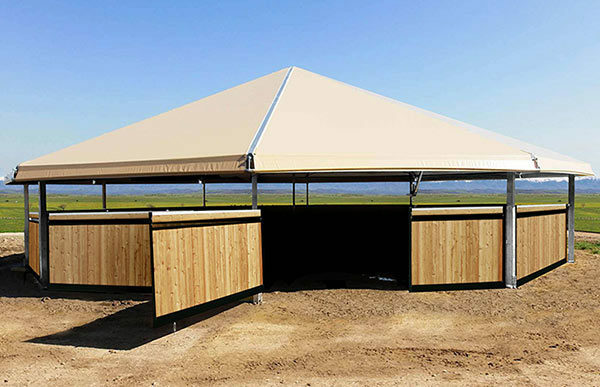 Cover Technology riding school covers can be personalised in shape and size (from 3 to 60 metres in width). 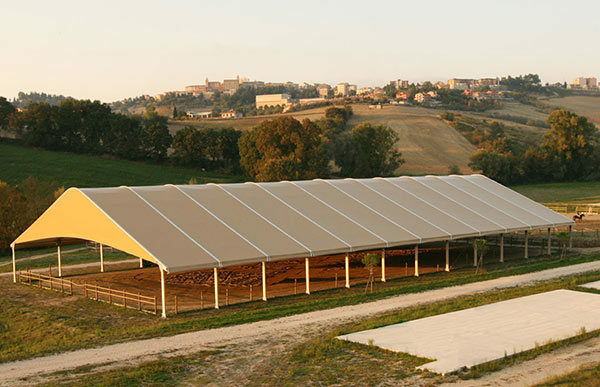 The various modular covers and the side walls are made mainly from multi-ply, waterproof fabrics with surface treatments to withstand aggressive atmospheric agents and for protection from sunlight. A mesh windbreak protection with tension adjustment can also be provided around the perimeter. The system’s modularity and the type of removable anchor systems used instead of a reinforced concrete plinth allow a structure to be completely assembled in a very few hours (1000 sq. m in 24 hours). Hardened aluminum alloy, if compared with steel or other construction materials, does not need any special maintenance as it is highly resistant to aggressive environmental agents. 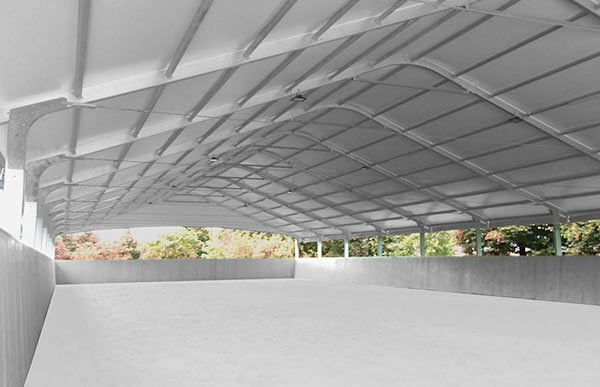 Aluminum-made structures have an almost unlimited life cycle while maintaining considerable value over the years. The construction technology derives from aeronautics and it’s no accident if in recent years aluminum alloys are gaining more and more space in the construction industry. 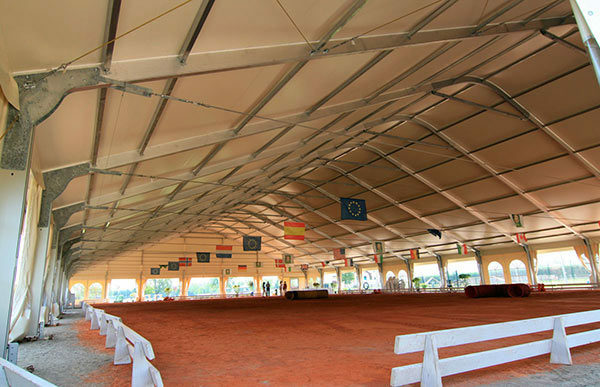 Benefits of having indoor riding school facilities are countless: horse riding becomes possible 365 days a year and your customers will enjoy a premium service at your equestrian center. There are many aspects and distinctive characteristics needed to turn your indoor riding school into a unique experience. For this reason, it is essential to carefully define all the construction details, finishes and accessories.